This month we’ll enjoy Sarah Vincent reading an extract from her memoir, ‘Death By Dim Sim,’ which is being published by Penguin Random House in March 2017. Beginning her writing life as a playwright, Sarah’s plays have been performed professionally in Australia and travelled to Athens and Edinburgh. Since changing her focus to prose, she was invited to a memoir-writing week at Varuna in 2014 and was accepted into the Hardcopy program run by ACT Writers in 2015. Sarah has appeared on festival panels and run workshops discussing many aspects of the writing and publishing process, including taking the leap from short fiction to a full-length book and finding support available to writers. I’m really looking forward to hearing Sarah read from her memoir, and then we’ll have to let her get back to writing her next project, a detective novel called ‘The Fake Detective’ after lunch. Look – WriteSpace Retreat is on Instagram, and loving it. Today’s pic is the before shot of the Platform at Donkey Wheel House. On Sunday the room will be set up for a day of writing and eating. I’m looking forward to meeting my first-time guests as well as catching up with some familiar faces. If we feel like a Lunchtime Listen I’ve chosen a short clip from…well I’ll keep that quiet until afterwards. At our next date, Sunday 17th July, we’ll have a Lunchtime Listen with laughs. One of our writers will read from her upcoming memoir and I’ll be asking guests if they’d like to bring a paragraph or piece of flash that’s made them laugh. I bring a collection of reading material to WriteSpace Retreat, a range of books and journals that might be used for inspiration, a lesson or a well-deserved break. Each retreat is different and I love looking after writers working on such a variety of projects. This month we have some new faces joining the group and I’m looking forward to learning more about them and their writing. ‘Wasted’ by Kate Tempest. If you missed her talking with Maxine Beneba Clarke at The Wheeler Centre last week, you don’t have to miss out. The podcast is almost as good as being in the performance space. ‘Writing Without A Parachute, The Art of Freefall’ by Barbara Turner-Vesselago. One of our regulars has enjoyed a couple of productive retreats hosted by this writing teacher – this print version of her freefall approach had me writing freely before I’d even finished the Introduction. ‘Dialogue’ by Lewis Turco. It’s always good to spend some time focused on one aspect of writing, and I think this can be one of the hardest. Besides, playing around with dialogue might lead to something you could enter in the Bartleby Snopes Dialogue Only Writing Contest which opened for submissions today. ‘Womankind’ magazine. This was recommended to me by one of the writers at a Women Who Write Melbourne catch up a couple of weeks ago. I’m looking forward to a few pages with a fresh coffee in the afternoon. What else should be on a reading table for writers? 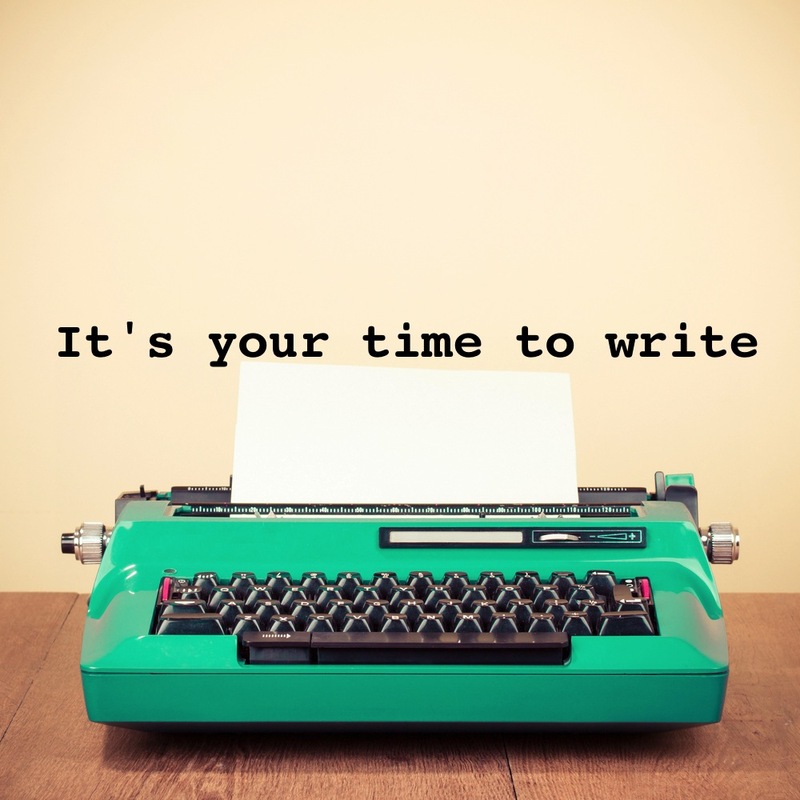 “If you don’t have time to read, you don’t have the time (or the tools) to write. Simple as that.” Stephen King. Earlier this week I worked at the final 2015 Next Big Thing event for The Wheeler Centre. This was a night for 5 of the Hot Desk Fellows to read an extract from the work they’ve been developing during their 2 month residency. It was also, as they said, a time to catch up with each other. Although their desks were side by side, each writer has used their time to focus on their own project. Sure there were the hellos and how are yous, typical of any office or work environment, but that was usually about it. This was time to work. Hearing this really reminded me of the Sundays that I’ve spent feeding and watching WriteSpace Retreat writers. I’ve tweeted and posted about how productive, and quiet, they are, and I think it’s something we should keep celebrating. – the five (all female incidentally) writers that we heard from sat at desks that face a blank wall. Listening to the scripts and stories from these women I thought about the retreats I’ve hosted this year and came to the conclusion that just being around, but not distracted by, other writers, even in a plain, functional space, can be just what you need to do hard work that yields tangible results. I’m looking forward to meeting more writers and watching you work in 2016. And if you want to read about how the evening inspired me to get back to my keyboard, I wrote about it here. Sometimes I cringe when I see a headline that has anything to do with writing tips. There is no shortcut or secret that will make it easier or a guaranteed success, whatever your definition of that is. But sometimes insights from writers resonate and motivate and need to be stuck on a post-it at your desk or saved as a screen saver or tattooed on your hand. Not only have these writers given us stories that are beautiful, powerful and enduring, they’ve also shown that there is no better tip than this: Write. Just Write. As a reader my main love is language. I’m more likely to fall for a writer whose work, like music, values rhythm and arrangement more than a writer who relies heavily on plot. No amount of refining, drafting and killing darlings will help most of us develop a voice like these writers, but that shouldn’t stop us playing with structure and word choice to see what effects we can create. This year Melbourne Writers Festival (MWF) is celebrating its 30 year anniversary. I remember first going to the festival at The Malthouse, on my own, about 25 years ago. I was a closet writer, scratching angst poetry in a notebook that I stashed in a far corner of my cupboard and thought that no-one knew about. The session that I remember the most, the one that made me really think that I want to be a writer, was a conversation with David Malouf. I can’t remember who interviewed him, or if there was a release to celebrate or a theme to discuss, but I do remember coming out of there blown away by the feeling that, for the first time, I knew what I wanted to do. I had a few false starts at the writing life but only recently made the move to saturate myself, my work and my time in the writing world. I’m committed to far more than my own writing and have never been happier. One of the things that Malouf talked about, the idea that I so often come back to, was a writer’s power to control time. Who else can make a morning last a chapter or a decade pass in a paragraph? If you’ve heard him speak I’m sure that you can hear the gentle way he would articulate this and other aspects of the writing life that he called a privilege. For a 17-year-old who couldn’t wait to leave school but was overwhelmed at what that might lead to, this man and this hour was my own session where time lapsed didn’t reflect the duration, or impact, of this experience at all. MWF has always been ‘for readers’ but it’s now expanded to include such a diverse reading, thinking and international community. That said, I’ll probably still drift to the “traditional” sessions (including both of Malouf’s) and will no doubt come out of one with an urgent need to find a table or a bar stool in a noisy MWF space and scribble something that feels important to capture. Because I’ll be attending or volunteering at a lot of the festival there won’t be a WriteSpace Retreat in August, but for those of you who, like me, come away from these events inspired, the next one isn’t far away.